Nike’s ACG offshoot is all about that playful outdoors spirit: bright bursts of colour, wild patterns and highly technical gear – this three-way combination helped to lift the collection to cult status. Their latest release is no exception, as Nike look to introduce an all-new model into the ACG lineage: the React Terra Gobe. 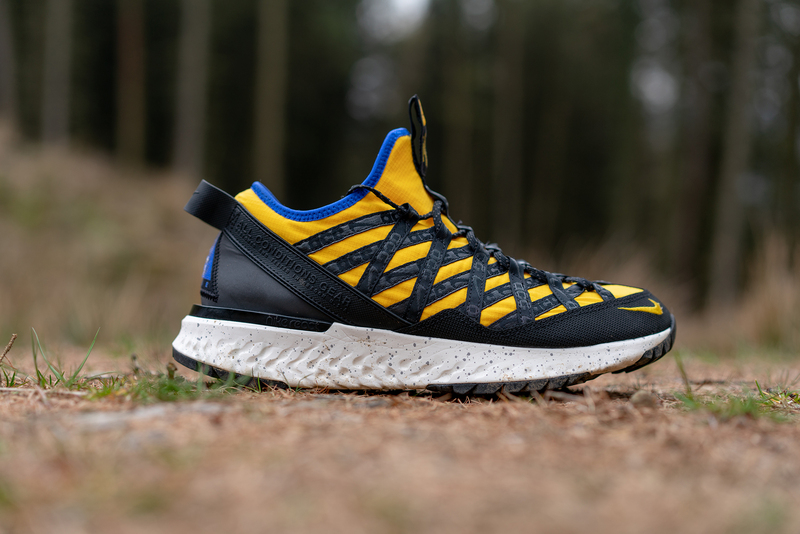 Just how the range’s first line of footwear adapted the era’s iconic runners for the outdoors, this latest release follows suit by equipping the new trail-ready model with Nike’s well established cushioning tech. 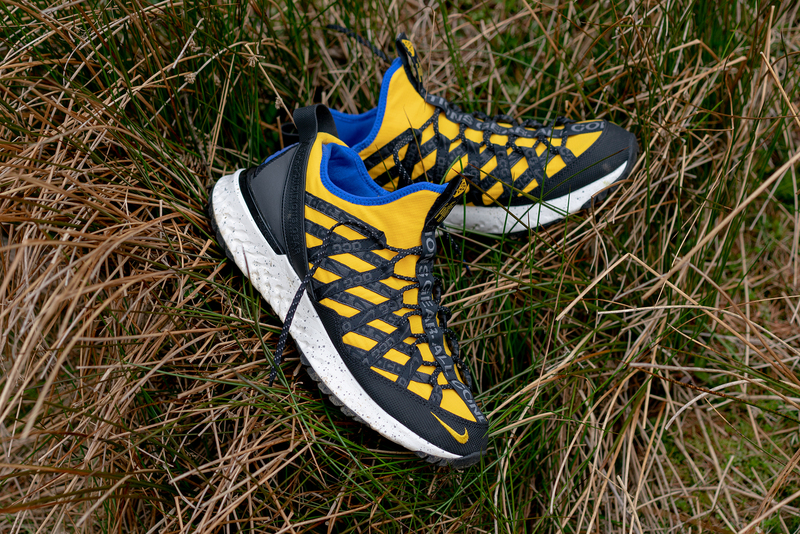 Lifting the cloud-like cushioning foam midsole from the Nike Odyssey React, the ACG React Terra Gobe delivers spring-like shock-absorption and comfort. The speckled midsole is inspired by the 1991 ACG Air Mowabb, another nod to a silhouette from the past that gives the pair a fitting granite-inspired look. Tweaking the outsole to better suit the outdoors, the model boasts serrated saw-tooth rubber lugs that keep you gripped to a range of troubling terrains. 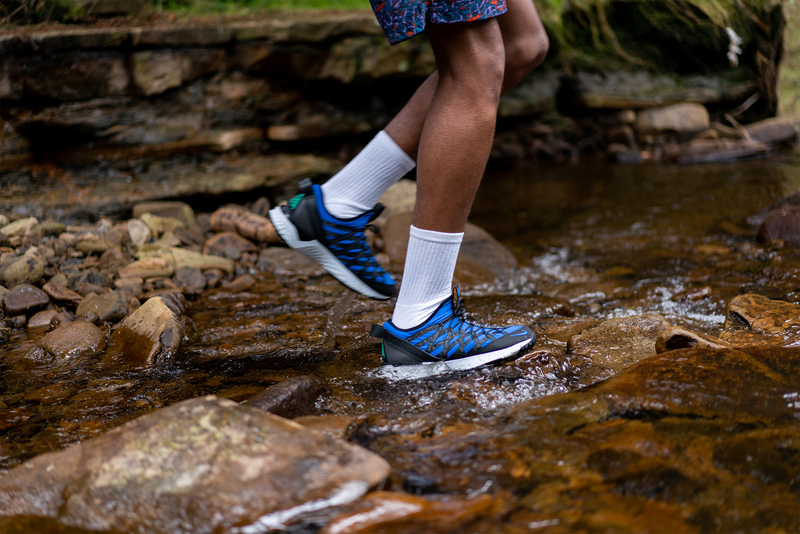 So whether you’re on a rocky mountainside, mud -covered forest floor, or sandy cove, the ACG React Terra Gobe has got you covered. And the durable technology doesn’t stop there: up top the model’s robust ripstop fabric stretches and hugs around the contours of your feet for a snug feel, while its water-resistant qualities help to keep your feet dry when out adventuring. 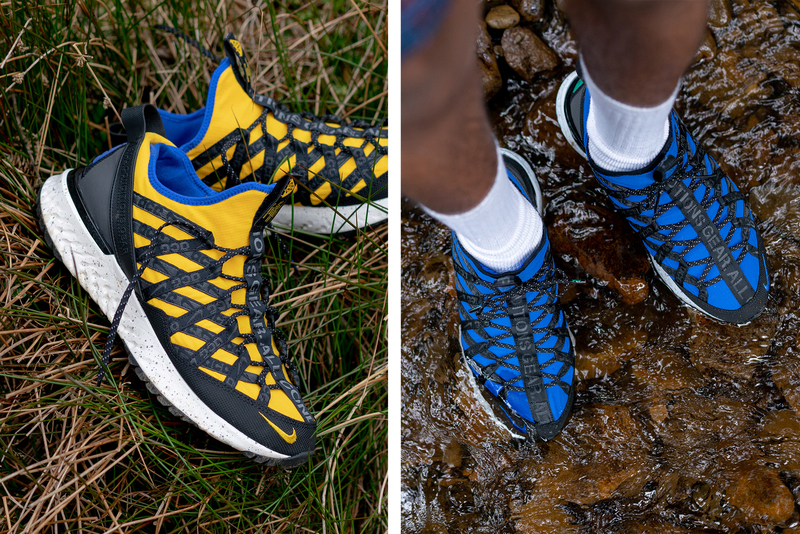 Set to be released in two striking colourways- a bright yellow “KD-12” and a royal blue “The Abyss” – the React Terra Gobe takes its name from both the Gobi desert and the brand’s “go be outside” spirit. There are a couple more technical details that are worth noting too, such as reflective accents to the laces and heel and sturdy rubber panelling to the toe box. Launching alongside the Terra Gobe, there are all-new colourways of the 1989 Wildwood and the ’90s favourite Okwahn II launching, two daring styles crafted for the outdoors. Similarly, there’s a plentiful selection of Nike ACG apparel hitting the site too, including an assortment of long and short-sleeved tees, hoodies, caps and beanies, all of which suitably decorated with the brand’s triangular ACG insignia. 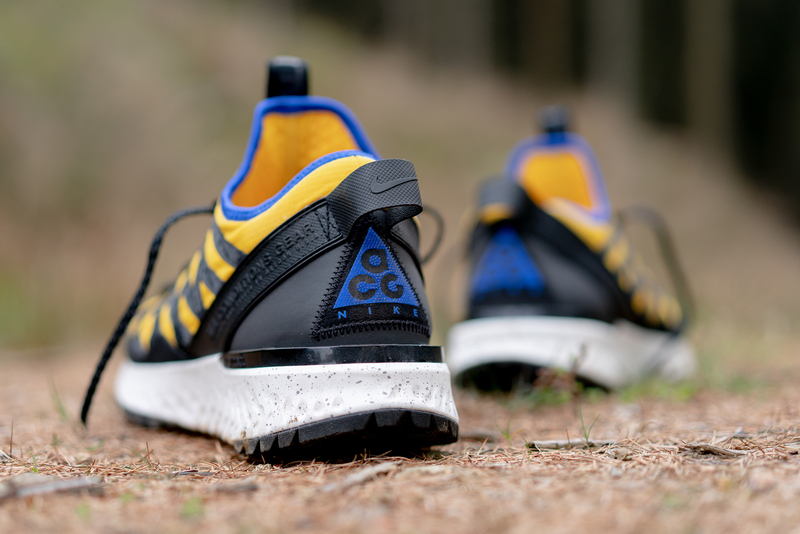 As if all this isn’t enough, you can explore our current selection of ACG products online now. 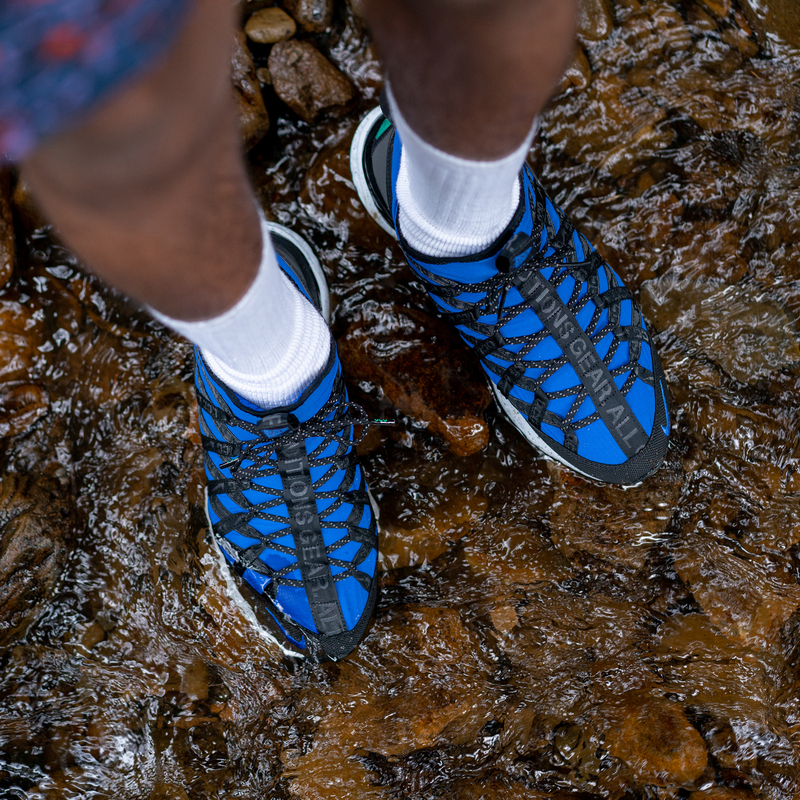 The ACG React Terra Gobe “KD-12” and “The Abyss” will be launching via the size? previews app and available in selected size? stores on Saturday 20th April, priced at £130.